Everybody just wants to look good. Celebrating 25 years of avant-garde, politically minded fashion, the Wearable Art Show takes to the runway. 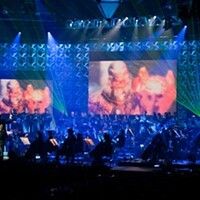 Video Games Live brings all the fun of gaming to Symphony Nova Scotia.